Friday, May 4th 5-9pm! Gallery night is a night to hop around the neighborhood and check out tons of new art! 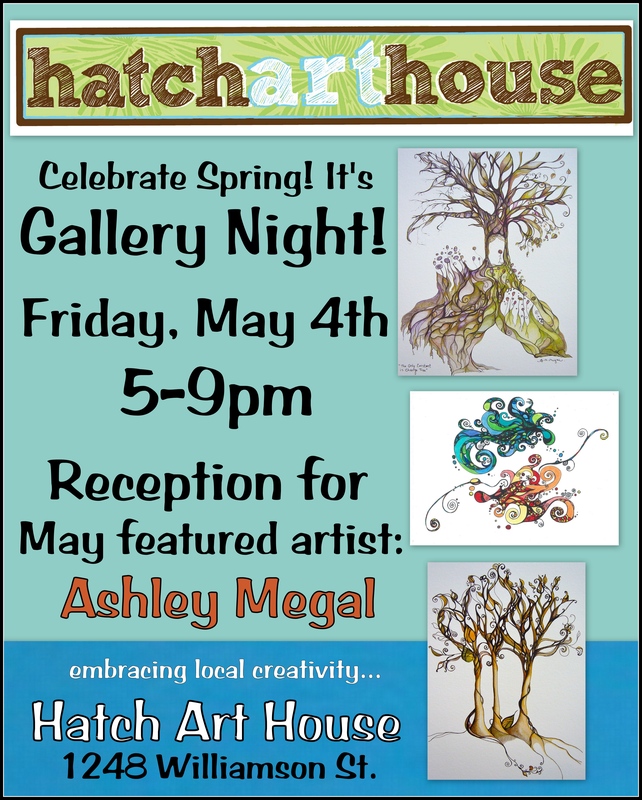 Our May featured artist is Ashley Megal. Ashley’s colored pencil drawings are inspired by nature…(trees are her favorite). We have LOTS of new work in store for you…Stop by this FRIDAY for a fun spring inspired cocktail and ART! !